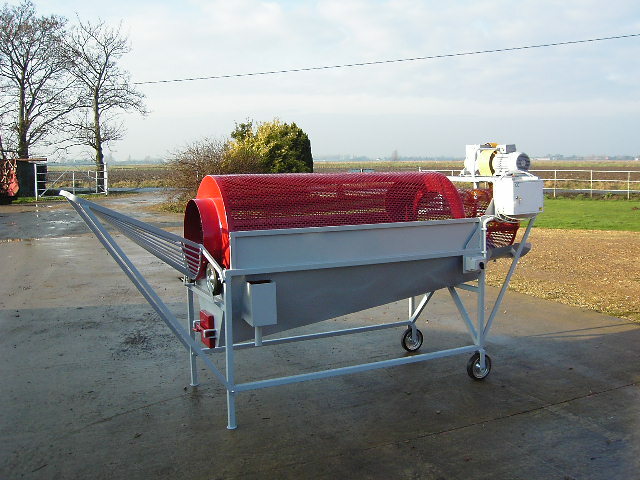 Suitable for washing vegetables and potatoes etc. Single phase electric motor (3 phase available). Variable speed electric motor, enabling the correct washing and cleaning of crops. Reversible barrel with a revolution of 0 – 60, a capacity of 4000kgs per hour. Final fresh water cleaning of crops. Additional grading and cleaning machinery. Elevator to feed washer (to your specification). Brushing machines. (10 – 15 brushes). Choice of single or 3 phase motors. Grading machines for fruit and vegetables. Onion toppers and flat conveyors.